These arguments can so destructive for the closer two persons are, especially if they were involved sexually, the easier it is to hurt or to be hurt. They’re taking things too personally. Never argue, instead, cool down then discuss the pros and cons of the issue. Negotiate and be openly accept your different point of view. Most disagreements can be easily resolved with mutual understanding and loving and respectful Communication. Arguing doesn’t mean suppressing negative feelings. It is still possible to express your negative feelings without arguing. If anything, suppressing negative feelings, while on the short-term can prevent arguments, on the long-term it leads to growing resentment and eventually love dies. If arguing is a war, suppressing negative feelings is a cold war. An argument doesn’t have to be hurtful. We are different and we’re bound to have different points of view from our partner every now and then. Disagreements are inevitable but can be discussed in a loving manner. People start arguing about one thing and within five minutes, they start arguing about the way they are arguing. Because of the way they’re being approached, they automatically reject listening to their partner's point of view and start defending themselves. They're hurting each other in the process. It is quite common for a man, when being challenged, to focus on being right and defending himself. He then forgets to be loving as well and his caring tone decreases. Because of his uncaring tone, his woman starts feeling upset. The man mistakenly assumes that she’s upset about the disagreement, he tells her not to be upset and tries to give her all the logical reasons why this issue shouldn’t upset her. He’s focused on the content of what he’s saying, while the woman is upset about the way he’s delivering his speech. She becomes resistant and unreceptive to what he’s saying. He’s defending his point of view, while she’s defending herself from his tone of arguing. Similarly, a woman might unknowingly hurt her man’s feelings while arguing. When a woman is challenged, her tone becomes increasingly mistrusting and rejecting. This can hurt a man a great deal especially if he is emotionally involved. And without acceptance and trust, a man responds negatively and try to defend himself, he takes it too personally. There are mainly four positions individuals take to avoid arguments, two that concerns men and the other two concerns women. These tactics, while effective on the short-term, they’re counterproductive on the long-term. When challenged, some individuals tend to get offensive. They believe that to defend yourself, you need to get offensive. They start blaming, criticizing, judging… in order to intimidate the other person into loving and supporting them. They tend to yell and express their anger to make the other person look wrong. And when the latter backs down, they think they’d won, while in fact, they’d lost. To use strength to get what you want from someone else is, in fact, a sign of weakness. It not only hurts the other person, but it also hurts the relationship. It weaknesses trust in the relationship and the couple find it increasingly difficult to be open and vulnerable. Women close up to protect themselves and men shut down and stop caring as much. If fighting is a war, flighting is a cold war. Some men choose to retreat and pull away when they have a disagreement with their partner. This is not like taking a time out to cool down. They, in fact, choose to not talk and nothing gets resolved. On the short-term, this brings in peace and harmony, but on the long-term it builds resentment. Both partners start to lose their passion and drew apart. To get what they want from their partner, they choose to withhold their love. While fighting is directly hurting, depriving their partner of the love she needs is indirectly hurting her and sure enough, she too won’t be able to give as much. Women might pretend that everything is fine to avoid conflicts. Surely, on the short-term, the couple are arguing less, but on the long run, the woman is blocking her natural need to express her negative feelings. She’s sacrificing and denying her feelings, desires and needs to avoid possible conflicts. But she’s also growing resentful and unhappy. A man might use the words “Fine, It’s alright, It’s okay” but that would be a different meaning. What he’s meaning is It’s fine because: “I can handle this. I know what to do. I’m dealing with it and I can figure this out alone”. But when a woman uses these terms, then that’s a sign that she’s avoiding an argument and repressing her negative feelings. 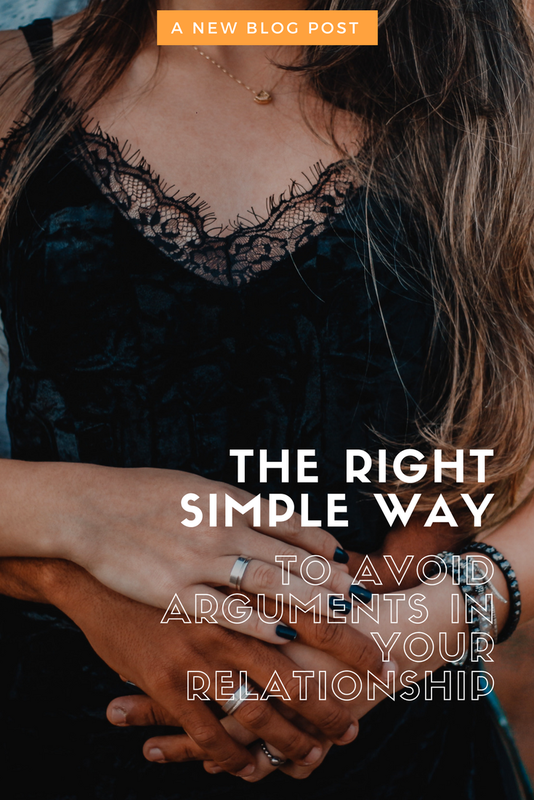 With this strategy, the person gives in whenever an argument arises. She takes the blame and assumes the responsibility of whatever is upsetting his partner. What looks like a supportive and loving relationship from the outside is actually a denial and self-rejection from the inside. This person is trying to sense his partner’s desires and then mold herself in order to please. She loses herself in the process and for that, she’s increasingly growing resentful. Because she’s rejecting herself, she wants to be loved by all and thus avoids rejection at all costs. - First and foremost, you need to remember that most of the time, we’re not arguing about an issue, but about the way, we’re discussing it. - Take a responsibility to recognize when a disagreement is turning to an argument. Right then stop the argument and take a time-out to cool down. - Reflect on the way you’re approaching your partner and acknowledge his needs. - After cooling down, go back and talk about the issue in a loving and respectful tone. A man can best handle arguments when he feels loved. However, when he’s deprived of the love he needs, he becomes defensive. On the surface, he might look like discussing the issue at hand, but the real reason for the argument is because he doesn’t feel loved. To feel disapproved of is equally painful for a man, especially when it comes out from his favorite woman. Women often don’t express her feelings directly, instead of telling her man how his being late worried her, she asks a rhetorical question like "How could you be so late?" Instead of hearing her feelings, the man is hearing her disapproval. Giving the love and approval a man needs when discussing an issue is the way to lead an effective conversation and avoid arguments. 3- The woman becomes more upset about her feelings being invalidated than about the issue. 4- The man becomes upset as well and blames his woman for upsetting him. 5- The woman apologizes and wonders what happened. Or she becomes more upset and the argument escalates. While listening to your woman, try to understand why she’s upset and console her instead of telling her why she shouldn’t be upset. When a woman talks she’s relieving herself and eventually she starts to feel better and her problems seem to be solved just by talking. She doesn’t need solutions or advice, she just needs a chance to express herself. 1. The man feels that the woman disapproves of his point of view. 2. Or the woman disapproves of the way the man is talking to her.